Intel’s 6th Generation of its Core product line, Skylake, is officially launching today. We previously saw the performance of the two high end Skylake-K 91W processors, but that was limited in detail as well as product. So it is today that Intel lifts the lid on the other parts from 4.5 W in mobile through Core M, to 15W/28W in Skylake-K, 45W in Skylake-H and then the 35W/65W mêlée of socketed Skylake-S parts. For today's formal launch we will be taking a look at the underlying Skylake architecture, which was unveiled by Intel at their recent Intel Developer Forum this August. 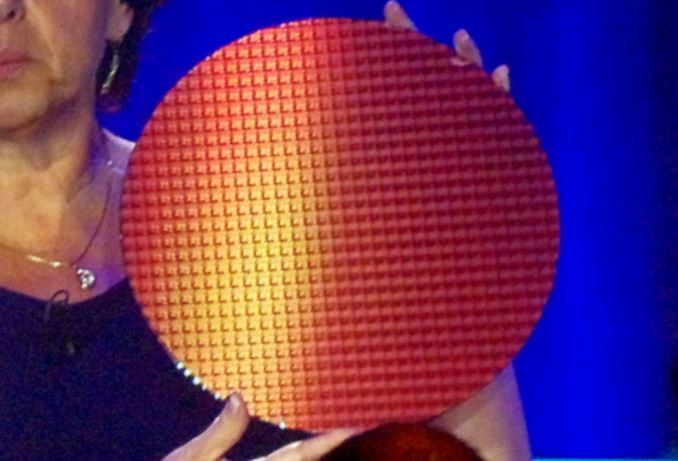 For Intel, the Skylake platform is their second swing at processors built on the 14nm process node, following the launch of Broadwell late in 2014. 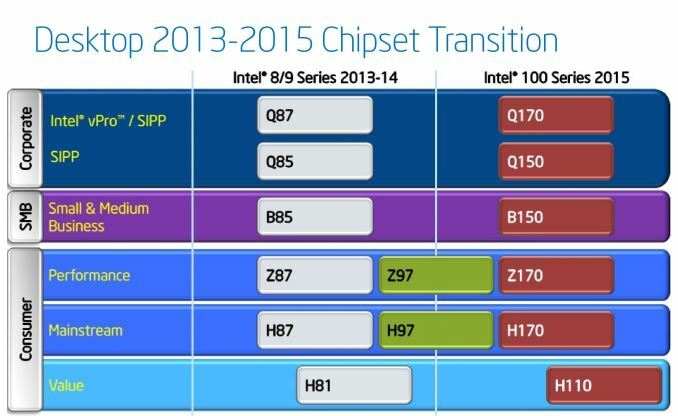 The main difference from Broadwell is that Skylake is marked as a substantial change in the underlying silicon, introducing new features and design paradigms to adjust to the requirements that now face computing platforms in 2015-2016, even though the design of Skylake started back in 2012. Intel’s strategy since 2008 is one of tick-tock, alternating between reductions in process node at the point of manufacture (which reduces die area, leakage and power consumption but keeps the layout similar) and upgrades in processor architecture (improve performance, efficiency) as shown above. Skylake is the latter, which will be explained in the next few pages. Typically a complete product stack of processors for Intel runs the gamut from low power to high power, including i7, i5, i3, Pentium, Celeron and Xeon. This also applies on the integrated graphics side, from base HD designs to GT1, GT2, GT3/e and beyond. In a departure from their more recent launches, Intel is launching nearly their entire Skylake product stack today in one go, although there are some notable exceptions. All of the Core M processors are launching today, as are the i3/i5/i7 models and two new Xeon mobile processors. From a power perspective this means Intel is releasing everything from the 4.5W ultra-mobile Core M through the large 65W desktop models, along with the previously released 91W desktop SKUs. What parts that are not launching today are the Pentium/Celeron processors, the E3 v5 desktop Xeons, and the vPro enabled processors. Put another way, Intel is launching most of their 2+2 and 4+2 SKUs today, with the exception of budget SKUs and some of Intel's specialized IT/workstation SKUs. 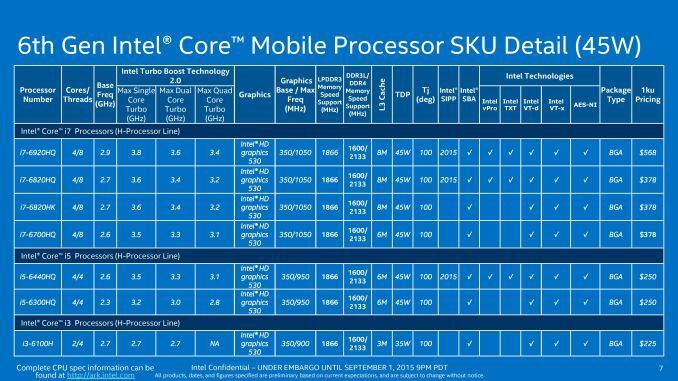 Meanwhile for SKUs with Intel's high end Iris and Iris Pro integrated graphics – the 2+3 and 4+4 die configurations – Intel will also be launching these at a later time. For the Iris configurations Intel is staying relatively vague for the moment, telling the press that we should expect to see those parts launch in Q4'15/Q1'16. That being said, the annual Consumer Electronics Expo in Las Vegas is being held in the first week of January, so we imagine we should see some movement there, if not before. Today's launch will also come with a small change in how Intel brands their Core M lineup of processors. 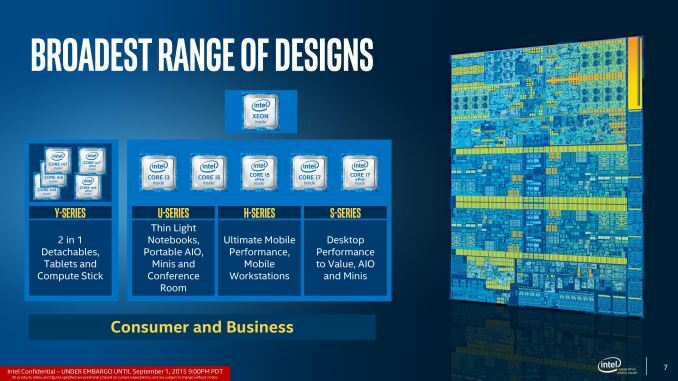 With the Broadwell generation Intel used a mix of 4 and 5 character product identifiers, e.g. Core M 5Y10a. However for the Skylake generation the Core M naming scheme is being altered to better align with Intel's existing mainstream Core i-series parts and hopefully cut down on some of the confusion in the process. 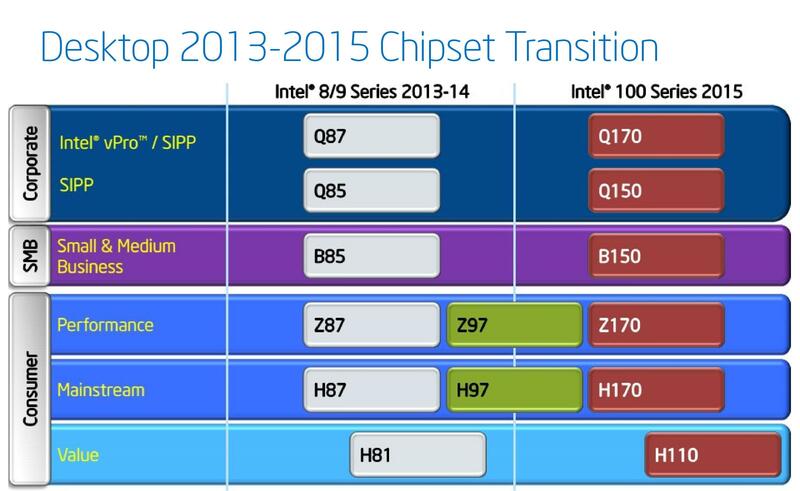 Thus we now have Core m3, m5 and m7 to complement the i3, i5 and i7 already used on Intel's more powerful processors. This will be represented by both Intel and the OEMs when it comes down to device design to afford greater differentiation in the Core M product line. As a result of all these processor and chipset families coming to market at once, as well as linking up the launch to the Internationale Funkausstellung Berlin (IFA) show held in Berlin, Germany, Intel’s launch is going to be joined by a number of OEMs releasing devices as well. Over the course of IFA this week (we have Andrei on site), we expect Lenovo, ASUS, Dell, HP and others to either announce or release their devices based around Skylake. We covered a number of devices back at Computex in June advertised as having ‘6th Generation’ processors, such as MSI’s AIOs and notebooks, so these might also start to see the light of day with regards to specifications, pricing, and everything else. To cut to the chase, the processor base designs come from five dies in four different packages. The terms ‘Skylake-Y’, ‘Skylake-U’, ‘Skylake-H’ and ‘Skylake-S’ are used as easy referrals and loosely define the power consumption and end product that these go in, but at the end of the day the YUHS designation can specifically segregate the size of the package (the PCB on which the die and other silicon sits). The YUHS processors all feature the same underlying cores, the same underlying graphics units, but differ in orientation and frequency. The best way to refer to these arrangements is by the die orientation, such as 2+2 or 4+4e. This designation means the number of cores (2 or 4) and the level of graphics (2 or 3e or 4e). Core M designs, which fall under Skylake’s Y-series, will be available in a 2+2 configuration only which is similar to the Broadwell offerings. This allows Intel to keep around the 4.5W margins, and as with Broadwell, many of these processors will have a low base frequency and a high turbo mode to take advantage of burst performance. However, if you read our piece on the problems of OEM design on Broadwell’s Core M, it can depend highly on the device manufacturer as to the end performance you might receive. 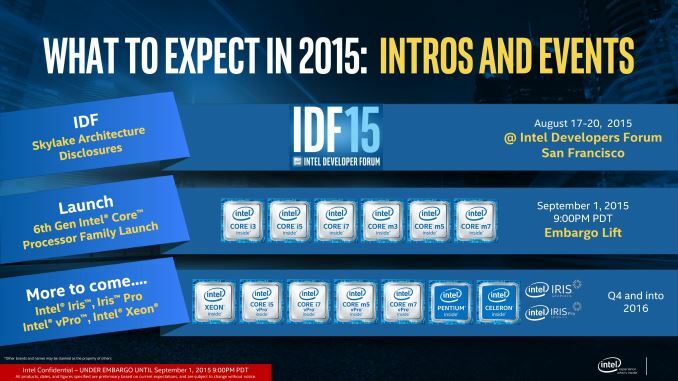 Intel states that for Skylake, this becomes less of an issue, and we cover this later in this article. By virtue of the desire to reduce the number of packages in these devices, the chipset/IO is integrated on the package. Also to note, DRAM support for Skylake-Y will be limited to LPDDR3/DDR3L, and will not include DDR4 support like the others. We suspect this is either for power reasons or because DDR4 needs more pins, but when DDR4L comes to play we should see future Core M platforms migrate in that direction. 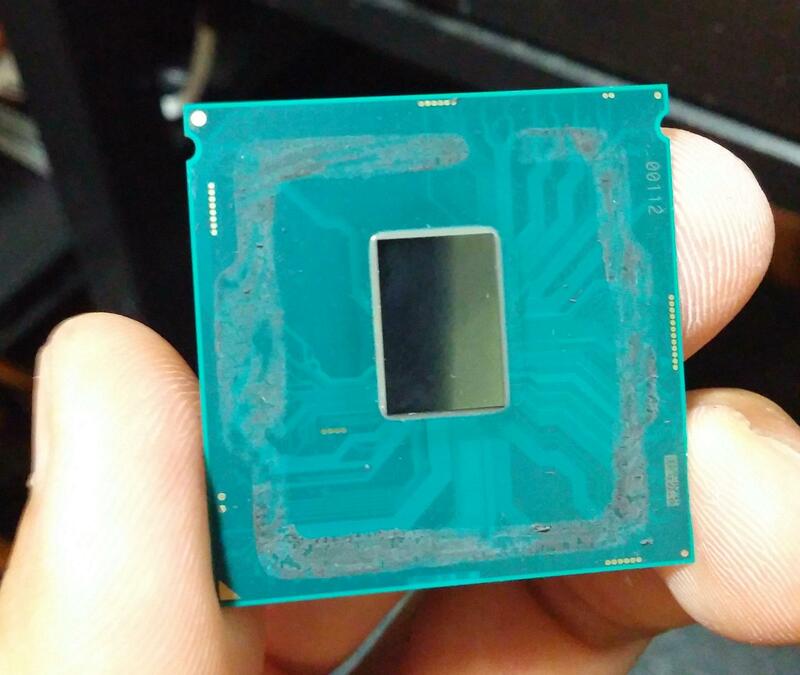 Skylake-U also follows a similar path to previous Intel generations, being available in 15W and 28W versions. What is new comes down to the configurations – 2+2 as expected but also 2+3e models will be available later in the year. The extra ‘e’ means that these versions will also include Intel’s eDRAM solution which we have seen to be significantly useful when it comes to graphics performance. In previous eDRAM designs, this was only in available in 128MB variants, but for Skylake-U we will start to see 64MB versions. These will also be on package, similar to the chipset/IO, resulting in a 42x24mm package arrangement. The H processor family, such as Skylake-H, is typically found in high end notebooks or specific market devices such as all-in-ones where the ability to deal with the extra TDP (45W) is easier. Historically the H processor family is BGA only, meaning it can only be found in products soldered directly to the motherboard. With Broadwell-H, Intel released a handful of socketable processors for desktop/upgradeable AIO designs, but with the information given above this might not happen for Skylake. Nevertheless, Skylake-H will feature 45W parts with 4+2 and 4+4e configurations, the latter having 128MB of eDRAM. Also similarly to previous H designs, the chipset is external to the processor package. Skylake-S represents everything desktop, including the K processors. 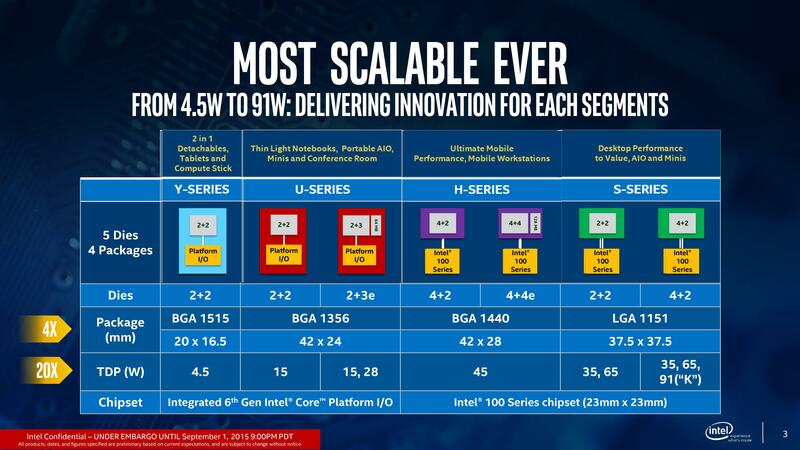 Some users will be disappointed that despite the move to 14nm, Intel is still retaining the 2+2 and 4+2 configurations with no six-core configuration on the horizon without moving up to the high-end desktop (HEDT) platform (and back two generations in core architecture). Nevertheless, alongside the two 91W overclocking ‘Skylake-K’ parts we have seen already, Intel will launch the regular 65W parts (e.g. i7-6700, i5-6600, i3-6100) and lower power ‘Skylake-T’ 45W (i7-6700T, i5-6600T, i3-6100T) parts as well. These will all have GT2 graphics, varying in frequency, as well as varying in cache sizes and some feature sets. We go more into detail over the next few pages. We will go over each of the product markets in turn through this review, but the gallery above showcases the 48 different processors that Intel is prepared to announce at this point. This includes Pentium information as well as a few GT3e products (HD Graphics 550, 48 EUs with 64MB eDRAM) that will be released over the next two quarters. In a change to Intel’s previous strategy on core design disclosure, we will no longer be receiving information relating to die size and transistor counts as they are no longer considered (by Intel) to be relevant to the end-user experience. This data in the past might have also given Intel's compeititors more information in the public domain than ultimately they would have wanted. But as you might imagine, at AnandTech we want this information – die size allows us to indicate metrics towards dies per wafer and the capable throughput of a fab producing Intel processors. Transistor count is a little more esoteric, but it can indicate where effort, die area and resources are being geared. In the past we have noted how proportionally more die area and transistors are being partitioned in favor of graphics, and changes in that perspective can indicate the market directions that Intel deems as important. Obtaining die size area is easier than transistor count, as all that needs to be done is to pop off a heatspreader and bring out the calipers (then assume that there’s no frivolous extra silicon, which seems counterintuitive as die area is proportional to dies per wafer and thus potential revenue). 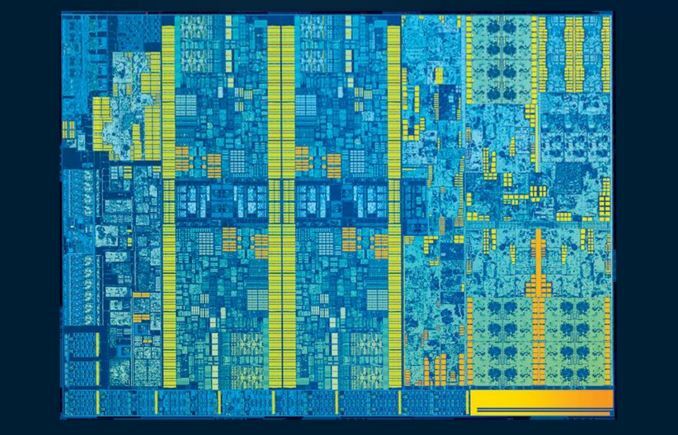 With transistor count, it was not clear if Intel would be providing at a minimum a set of false-color die shots with regions marked, meaning that if this is not the case then when other analysts are able to do an extensive SEM analysis, we will get some information at least. Intel Broadwell-H 4+3e 14nm 4 GT3e ? ? This is taken from our Skylake-K package analysis of the 4+2 arrangement. 1) Intel's best CPUs don't focus on IGP (i.e., i7-6600K, 6700K, 5820K-5960X) which means someone who is interested in gaming is buying a dedicated i5/i7, especially K series and going for a discrete graphics card. 2) Since we are discussing PC gaming, not console gaming, a budget gamer is going to be better off getting a lower end discrete GPU like the $90 GTX750Ti or even going on the used market and buying a $100 HD7970/GTX670, instead of trying to play games on Intel's 72 EU part. 3) Looking at historical pricing of Intel's parts with eDRAM, they'll probably cost almost as much as the Xbox One/PS4. 4) No one buys an Xbox One/PS4 because they want the best graphics. If you want that, you build a Core i7 + GTX980Ti SLI/Fury X CF system. People buy consoles for ease of use, to play online with their friends, and to have exclusives. In the areas the consoles excel, a 13-15" PC laptop with a 72 EU Intel part will fail miserably in comparison to the gaming experience one would get on a PS4/XB1 + large TV in the living room. Frankly, these 2 devices aren't competing with each other. 5) Overall cost of the device - a $300 Intel CPU is worthless without a motherboard, ram, SSD/HDD, keyboard, etc. That means trying to compare how fast an Intel's CPU with 72 EUs and EDRAM is vs. an Xbox One and PS4 and ignoring the Total System Cost is misleading.